Sonoma releases another InstantDrummer app. 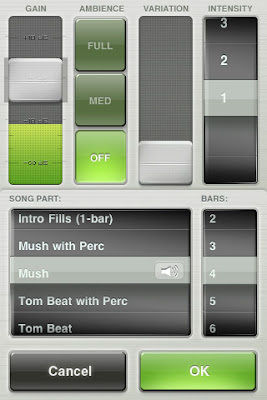 Oasis, which is based on Discrete Drums Earthbeat Collection. This is a world beats collection. I think I might need to take a closer look at this one. Does anyone know how to loop an entire song on these apps? I've only managed to loop the little clips that make a song. What are you trying to achieve with it? I'm not sure I get your question.